Diploma Courses in Subtle Energy Medicine and Crystal & Energy Healing start in the Spring and Autumn each year. Schools also offer a number of self-healing & inner development workshops. Please contact the individual schools for more information. The mineral kingdom was the first to exist on planet Earth. Everything else followed: the plant kingdom, animal kingdom, and finally humanity. 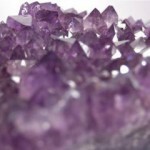 Crystals are the highest expression of the mineral kingdom. Their regular inner geometric structure is unique in nature and can help to anchor Light upon the planet and within ourselves. The week will include profound meditations and healings and work outdoors in nature, all within the magical environment of the Findhorn Foundation. All crystals are provided on the workshop, with a wide selection available for you to experience their different energetic qualities. However, feel free to bring any personal crystals with you.